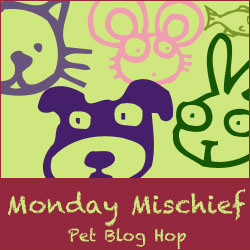 ← DogDaz Zoo: Not Monday Already! Sometimes when we go to the dog park it is filled with black dogs, other days it might be brown dogs, or Shepards, or Pit Bulls. Today was a Labby day at the park. We don’t mind who is there – we are mutts and have a little bit of everyone in us, so we are all family! What mischief are you getting into today? No matter what kind of dogs are there, the main thing is they are nice and you can play together. And this time you had super nice play mates, the boxer guy was super funny! Fun to see the dogs playing so nicely. 🙂 My poor mutt always stands far away, watching, but unable to join in 😦 The price she has to pay for the rest of her life, for her previous owners not socialising her. Even with socialization, which is why we are there, we are never more than 10feet from Mom. It’s who we are. Keep going. It was a nice group. Most days seem like lab days at our dog parks. It is fun to see a mix, though. I guess they are the most popular dog at the moment. Not sure why though since they like to roll in the mud too much. Looks like a great park, and a fun day. Love to see all those happy, wagging tails on a sunny day at the park. We do too. It was a nice crew. Lazy days at the dog park are the BEST! They were all relaxing and enjoying each others company – just in slow motion! Looks like you all enjoyed! Thanks Snoopy. We rarely see any of your kind of dog at the park. Maybe there aren’t many in Maryland.